This year Chepstow House will continue to support the international charity, Stand by Me. 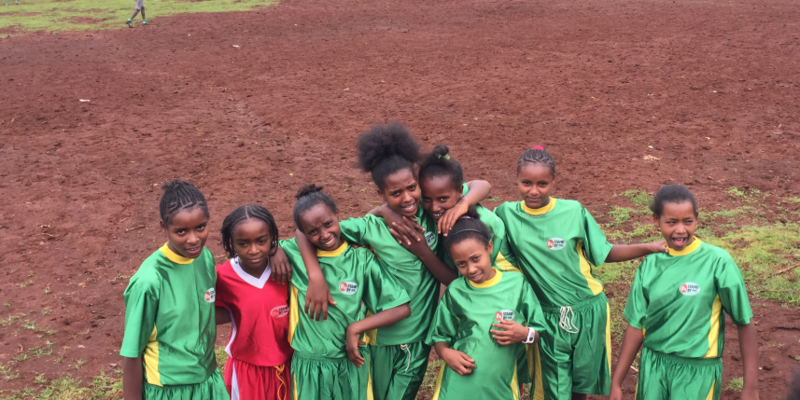 During the summer holidays Miss Whitbread, Miss Wilkes and Miss Walshe travelled to Dembi Dollo in Ethiopia, to visit the school we have been raising money for. They were there for 10 days meeting some of the 320 students, seeing what and where they learn, eat and receive medical care. This week Chepstow House held a special assembly about their visit and the Chepstow children learned about how our fundraising has helped the Abdi Academy. The children had a real insight into how different their lives are compared with those studying there, as well as being informed on how child sponsorship is saving and changing the lives of those who live there. Click here to see some more photos from the trip.